Let’s face it, the word ‘budget’ can seem kind of boring. Even as a self-proclaimed money nerd, I don’t particularly get excited when it’s time to look over my budget, make adjustments or hunt for money management solutions that fit my needs. Budgeting is often necessary if you are keen on telling your money where to go or meet certain financial goals. However, it’s not always easy to get into the habit of managing your money better if you dislike the concept of budgeting and the process of it all. Budgeting can often be seen as limiting or negative. Just try telling one of your friends that you’re on a budget or that something doesn’t fit in your budget at this time. They probably won’t associate your budget with positive emotions. In reality, most of us live on a budget whether we want to admit it or not. You don’t have to use the word budget or conform to traditional budgeting if that doesn’t make you feel happy and positive about your financial situation. There are quite a few other solutions you can consider if you still want to reap the benefits of effective budgeting without making it a snooze fest. If you’re tired of penny-pinching and running calculations to see whether or not you should spend money on various different expenses throughout the month, switch to using all cash; it’s one of the simplest money management solutions out there. You’ll automatically become more aware of your spending and financial situation since there will be no possible way to overspend. It’s common knowledge that spending on a credit card can lead to more impulse purchases and an increased spending rate overall. If you start using the cash envelope system, you’ll only have a fixed amount to spend and save each month so you may be more mindful of how you use your money. The cash envelope system is also a great way to avoid debt without much effort. Switching from credit to cash may take some getting used to especially if you have several credit cards, automatic payments, etc. Still, you might want to do a 30-day trial run to see if it’s better than creating budget spreadsheets. Budgeting apps like Mint, Level Money, Personal Capital and Good Budget are great resources because they do all the hard work for you. You don’t have to create budget categories on your own and determine how much you should be spending when you automate everything online. Most budgeting apps allow you to connect all your accounts so you can see everything in one place. Then, your spending is tracked automatically and categorized so you know exactly where your money is going. Some tools will even allow you to set goals, track your progress and remind you of certain due dates like when your credit card payment is due. 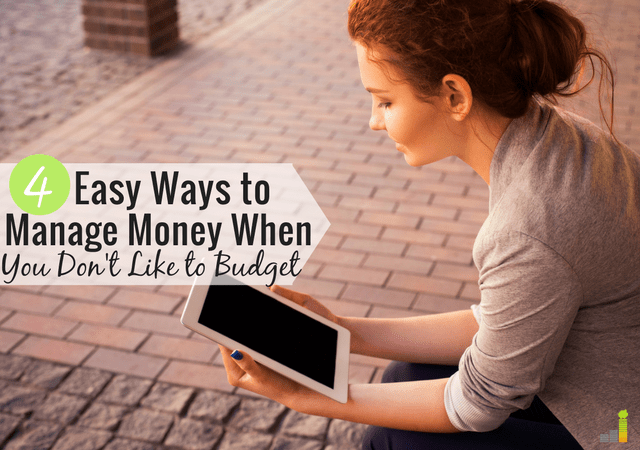 Your traditional budget doesn’t let you know how much you have to spend or save unless you take the time to look at it manually and run all the numbers, so budgeting apps just speed up and simplify that process. If you’re more interested in adopting habits like value-based spending, you may not need an in-depth budget. Once you get clear on what your values are and commit to spending on certain things, you won’t really feel obligated to allocate most of your money anywhere else unless it’s for your basic living expenses. Also, assuming your values don’t change, you’ll probably spend money on similar expenses each month making it pretty predictable. Living frugally can always be helpful too. If you know that you can live well by spending less than you earn, you’ll always have enough each month to meet your wants and needs and won’t really need to budget so strictly. If you want to use this anti-budgeting approach, be sure to pay for your basic living expenses early in the month, automate your savings and bill payments, and spend according to your values. A simple spending plan is a practical alternative to a traditional budget. 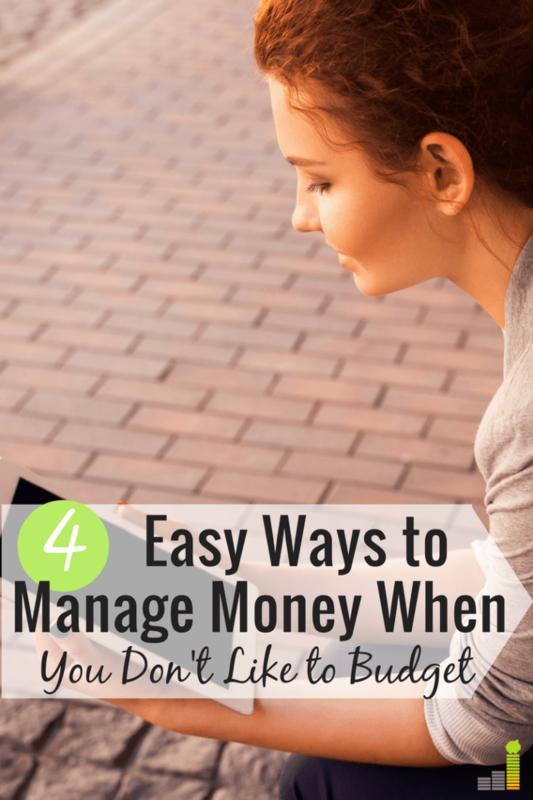 Sometimes, when it comes to finding money management solutions that work for you, it’s important to get back to the basics and avoid overthinking it when it comes to your budget. Creating a confusing, strict and limiting budget may set you up to fail or cause you just give up so try to keep it simple and specific. One of the simplest spending plans to implement is the 50-30-20 method. This strategy is a budgeting method that can help you divide your money into three basic categories instead of several small categories. According to this method, you should try to spend 50 percent of your income on living expenses and essentials; 30 percent on wants, flexible spending and non-necessity purchases; and 20 percent on debt and saving. You can certainly switch these percentages around based on your needs but this method is a super quick way to make sure every dollar you earn goes somewhere and that your basic needs and wants are met. When it comes to budgeting, what works for someone else may not work for you. You may hate the word ‘budget’ but in all honesty, you need to plan how you’ll manage your money one way or another. Don’t resort to mindless spending. Try one of these methods and you might be surprised to see yourself start to like budgeting – even if it’s just a tiny, little bit. How do you feel about budgeting? What’s your go-to method for managing your money? Do you prefer to automate your finances, or handle them manually? I like value based spending. Since my wife and I are pretty frugal to begin with it works for us. We make sure we save a good amount and don’t stress about having true budget. We probably do need to track our expenses better and review our finances a little more often though just to make sure we’re on track. Value-based spending is nice. I do think it works best after you have a good idea of what your spending habits are though and as long as you can avoid impulse purchases. I hate budgeting. It’s a lot of effort and I feel like I’m disciplined enough that I don’t need to. I do like to use cash, because I think I spend less money that way. It’s just harder to part with cash. I feel the same about cash. If I have cash in my wallet, it will stay there for weeks vs. if I just have a card and usually feel tempted to spend with it. The cash envelope system has worked for many in the past, but I feel like it’s becoming more and more difficult, if not impractical. We’ll see how much longer it survives! I find it hard to do a full on cash budget. I understand that people make automatic payments with their card and sometimes, using a card is just easier and allows you to track your spending better. However, for people who have a hard time managing their spending and have no idea where their money goes each month, I always recommend switching the budget categories that they struggle with to cash only like groceries, dining out, entertainment etc. so it will be harder to spend. Everything else can stay on their card if that makes sense. There are even some great apps out there to help you keep track of your finances and find out where you are spending all your money. I use several of them and find them very handy myself. I love budgeting apps! They cut a lot of time and stress out of doing everything manually but some are better than others. Hey Stephen, yes I think you have a point but to each his own. Technically, there are many different ways to budget and even if you don’t like budgeting, you have to plan how you will spend your money even if it’s a rough or vague plan. For some ‘anti-budgeters’, I feel they don’t like the stress, difficulty, and limitations that come with budgeting but these are just boiled down solutions. At the end of the day, you can’t go through life spending whatever you want when you want and you’ll have to plan out what you will do with your income sooner. I use a very old school tool: a blank notepad next to my credit card bills. I have a set amount for the month and try not to go over. It works well once you have a handle on your monthly expenses. That’s exactly what I did when I was paying off debt. Sometimes the simplest is the best!